Are you planning a trip to the Perot Museum of Nature and Science in Dallas? Let us help! Whether you’re coordinating a school field trip or a wedding reception, National Charter Bus can streamline your travel plans! We specialize in matching our clients to the best transportation options for their trip, from the size of the bus down to the bells and whistles that make your trip that much more easy and comfortable. A friendly representative will help assemble the perfect fleet for your group and assist you with your reservation when you call 214-206-1981. 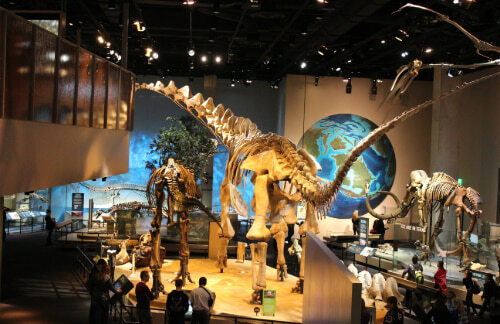 Since opening its doors to the public in late 2012, the Perot Museum of Nature and Science has prided itself in mixing natural history collections with modern, man-made science and technology to educate and entertain the masses, from early childhood to lifelong learners. The museum originally began as a merger between the Dallas Museum of Natural History, The Science Place, and the Dallas Children’s Museum. It has since combined the exhibits, themes, and lessons from its predecessors to strive toward one goal: to inspire minds through nature and science. 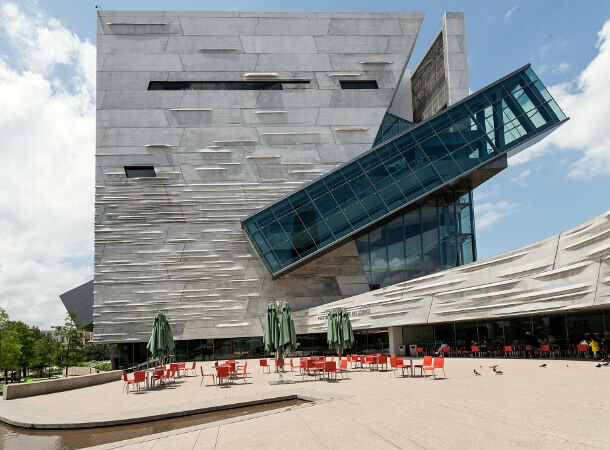 The Perot Museum is conveniently located near the heart of downtown Dallas, making it an easily accessible destination from nearly anywhere in the city. However, if you’re coming in from out of town, tackling the unfamiliar roads of this sprawling metropolis is no small feat. We recommend booking an 18-passenger minibus rental if you’re venturing to the museum from within city limits. Due to their compact size and roomy interior, the minibuses we charter are perfect for navigating through busy streets. For large groups traveling long distances from cities like San Antonio, Austin, or Houston, a charter bus will likely be the right fit for you. Whether you need a small shuttle or a large fleet, National Charter Bus can find the right ride for your group. You can even include amenities like WiFi, power outlets, reclining seats, PA systems, and much more, ensuring that all passengers arrive are refreshed and comfortable when they arrive at the museum. Bus parking is located in Lot C, which can be quite a hike from the museum’s front doors. To avoid the long walk, coordinate with your driver to be dropped off at the front entrance. Your driver can look after whatever belongings are left on the bus while you wander the exhibits and pick you up at the entrance when your group is ready to leave. When you book with a company like National Charter Bus, you won’t have to worry about circling the parking lot, hunting for the perfect spot. Instead, you can focus on the fun-filled day of discovery ahead of you while we handle the rest. Perfect for small children, this exhibit provides plenty of pint-sized activities for little ones to run around, crawl through, and climb on. This hall explores the mental and physical science behind what it means to be an athlete by encouraging guests to get active. This indoor nature walk exhibits the potential of life in all its forms, from single-celled organisms to entire ecosystems. 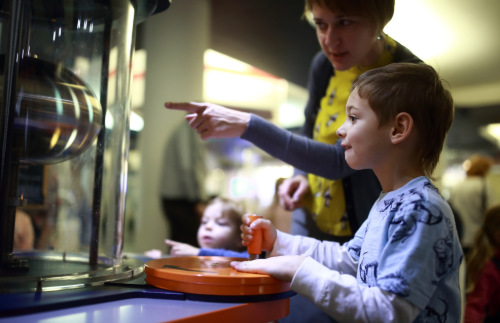 Get ready to explore what makes you human in this exhibit that showcases interactive stations, bone models, and a real brain stem! This hall invites guests to step into the shoes of an engineer and discover the ways different science fields, from architecture to robotics, solve everyday problems. Grab your raincoats, because this hall explores the “how and “why” of powerful weather patterns, highlighting events and exhibits specific to Texas climate. Come venture into the past, present, and future of energy in this collection of exhibits ranging from 3D maps of underground energy deposits to an inside-out model of an oil rig. Gaze upon a 5-foot tall geode, compare and contrast different gems, and learn the origin of minerals in this hall dedicated to geology’s finest finds. This intergalactic adventure is an aspiring astronomer’s dream. Embark on this hands-on star journey to learn how scientists uncover planets, stars, and the secrets of the universe. This hall allows visitors to study ancient animal bones and fossils to get an up-close-and-personal look into dinosaur life. Guests of all ages are invited to explore the science of birds, from creating your own bird species to following avian evolution from the age of dinosaurs. Let the Perot Museum’s five levels of interactive exhibits and dynamic education be the backdrop for your next private event. It can host workshops, ceremonies, and celebrations of all kinds, from weddings to corporate holiday parties to family events. The museum offers a variety of floor plans to suit any theme or size of your get-together, accommodating groups of 25 up to 1,500. The Perot Museum is a popular venue for Dallas residents and visitors alike, so schedule your event plans well in advance. While you’re planning, why not arrange your transportation to and from the event? With a bus rental from National Charter Bus, you can enjoy your event while we take care of the details . From a sleek, all-black or all-white fleet to transport wedding guests from the ceremony to the reception, to an ongoing minibus shuttle from your school to a science-themed high school dance, we can connect you to the best travel accommodations for your event. Have you ever wanted to sleep next to a dinosaur? Uncover the science behind science fiction? 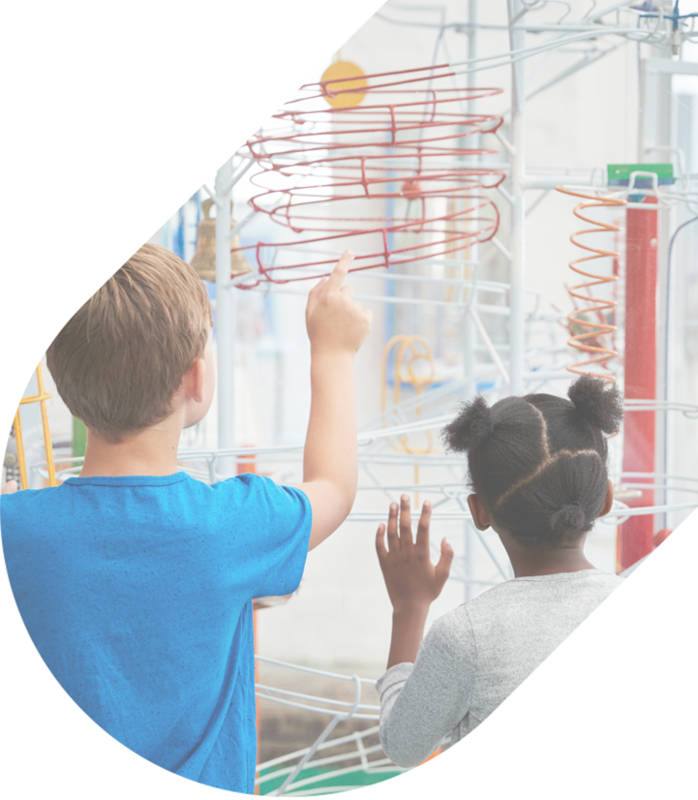 Your students can do all this and so much more during a sleepover at the Perot Museum of Nature and Science! The museum invites groups of all shapes and sizes, from a family reunion to entire classes, to a night of hands-on discovery and fun. Festivities include a tour of the museum, a live science show, and a late-night dance party. At the end of the night, guests cozy up in their sleeping bags for a restful sleep among the museum’s exhibits. While this event is perfect for class field trips, the museum also offers special sleepover programs for specific groups, such as a weekend retreat for young girls interested in STEM and a “May the Fourth” Star Wars celebration for fans to learn how real science inspires science fiction. With amenities like televisions with DVD players to keep your passengers entertained along the ride, and plenty of compartments to store their sleeping bags, a full-sized motorcoach is the best transportation option for your little scientists’ night at the museum. You can even request a bus with an on-board restroom to cut down the number of pit stops you make on your journey. When you rent a motorcoach from National Charter Bus, we go the extra mile to find the easiest and safest ride for your group. Choose from any of the available bus options, and you can expect a top-of-the-line vehicle with all the latest safety features. The professional drivers in our network must pass a series of background checks before they get behind the wheel, so you can rest assured your children will arrive at the museum safely, on-time, and ready to learn. Ready to book? 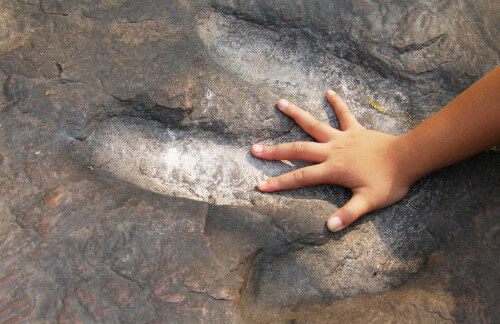 Call 214-206-1981 today to reserve your private ride to the Perot Museum of Nature and Science. Our dedicated team of reservation specialists will gladly find you transportation to the museum, around Dallas, or anywhere else in the country. We will work around the clock to coordinate your transportation schedule and assemble the perfect fleet for your group’s size, agenda, and desired amenities. Contact us today for a free, no-obligation quote for the bus rental plan of your dreams!